A decade following the war that decimated America and crippled Europe, London is one of the few surviving cities. Though the city is rebuilding, it is a bleak, stratified place ruled by the fascist Libertas Party and filled with mods, humans illegally experimenting with genetic modification. This is Liane’s world. A genetically advanced assassin trained from childhood, she is owned by a secret government organization called the Agency and controlled by her ruthless Handler. Beautiful, intelligent, and deadly, Liane appears to be the perfect Agent. Secretly, though, she longs for freedom. When she impulsively saves the life of a young police officer, she finds herself drawn into his efforts to solve the murders of mods within the city. Their investigations take them into the dark, dangerous realm of black markets, conspiracies, and the hunt for the perfect modification, known as the Titan Strain. Within London of the future, there are no limits to genetic engineering, and a war is brewing between altered humans, known as mods, and the genetically modified assassins of the sinister Agency. Liane, an Agent gone rogue and on the run from her former masters, barely survived the last attack by the Agency. Still grappling with the truths she learned about the Titan Strain, Liane vows to destroy those who turned her into an inhuman killer. But that means outsmarting and outrunning her former Handler, who wants his Agent back at any cost. With the Osiris Contingency threatening ruin for them all, Liane will find herself faced with an impossible choice between freedom and survival. From rugged Japanese firemen’s ceremonial robes and austere rural work-wear to colorful, delicately-patterned cotton kimonos, this lavishly illustrated volume explores Japan’s rich tradition of textiles. Numerous examples of these fabrics, photographed in exquisite detail, offer insight into Japan’s complex textile history as well as inspiration for today’s designers and artists. 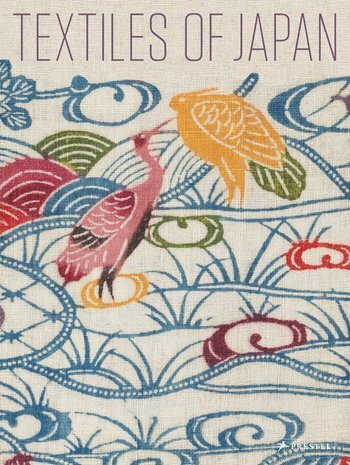 This volume explores the range and artistry of the country’s tradition of fiber arts and is an essential resource for anyone captivated by the Japanese aesthetic.